Manuel Castaneda is Director of Community Health for New Brunswick Tomorrow. You can learn more about him here. Stay updated on Manny's work for New Brunswick on Twitter. As we approach Thanksgiving, it's important to recognize the things we are thankful for. I, both personally and professionally have a passion to help others but more importantly, the desire to help people learn to help themselves. Within community work, I strongly believe that community members serving as active partners is the most effective approach towards achieving the greatest impact. As the old saying goes, “Give a man a fish and you feed him for a day. Teach him how to fish and you feed him for a lifetime”. This is why I am most thankful and proud of our community health ambassadors and the intrinsic part they play in bettering our community. 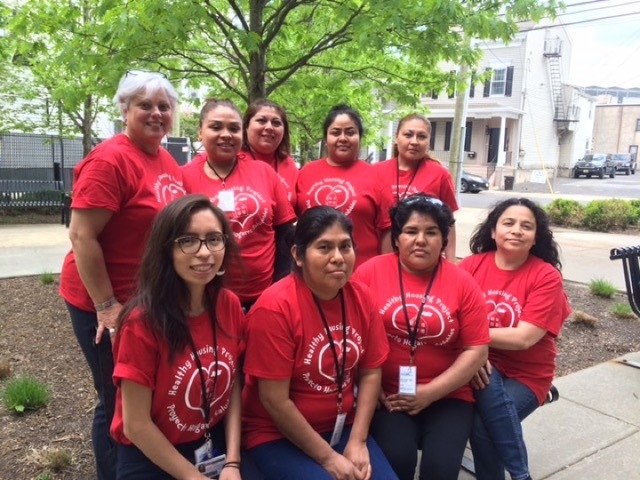 As I’ve mentioned in previous blog, our Community Health Ambassadors (CHAs) are an integral part of community outreach efforts through local projects like the Diabetes Community Outreach Program with St. Peter’s University Hospital and New Brunswick Healthy Housing Collaborative (healthy housing project). They are New Brunswick residents who have decided to do their part to better their community and who recognize the importance of promoting health and wellness. Many of the CHAs own experiences mirror the needs of the overall community. 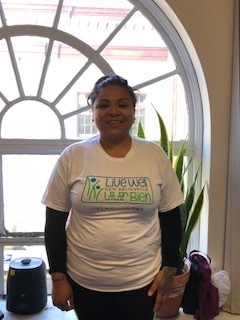 For example, Lucero’s (see picture) issues with a previous landlord unwillingness to make necessary repairs led to her eviction after she tried to exercise her rights as a tenant. Lucero’s tribulation left a profound impact on her. She began to seek information and assistance in order prevent her and her family from having to experience this ordeal again. This ignited her drive to become a community advocate and ultimately landed her a key role as one of our esteemed CHAs. Lucero’s story is not just an example of the experiences of our CHAs, it also serves an example of many in the city. It is a major reason as to why peer to peer interaction is an effective approach as it ensures genuine empathy, understanding and a sense of inclusiveness. Helping the CHAs and New Brunswick residents in their time of need is important, but cultivating the CHAs personal desires and determination to help their community by training them on: understanding the issues; mitigating the issues; and building awareness of the issues among their neighbors is “teaching them how to fish”. In doing so, it helps develop a community effort from within that in turn, leads to the creation of positive health impacts in the community; and this is the win-win that I am truly thankful for.